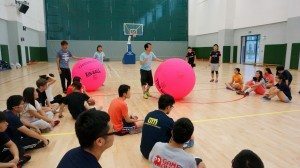 In mid-October, Residential Colleges on Island 1 University of Macau: Choi Kai Yau College (CKYC), Henry Fok Pearl Jubilee College (HFPJC), Moon Chun Memorial College (MCMC), and Stanley Ho East Asia College (SHEAC) invited Hong Kong Kin-Ball Association to jointly organize a Kin-Ball Event Series. 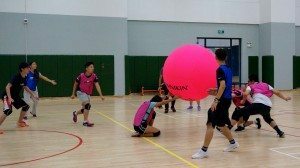 This series included “UM Kin-Ball Fun Day”, and “Level One Coach Training Course” on 10th and 11th October, respectively. 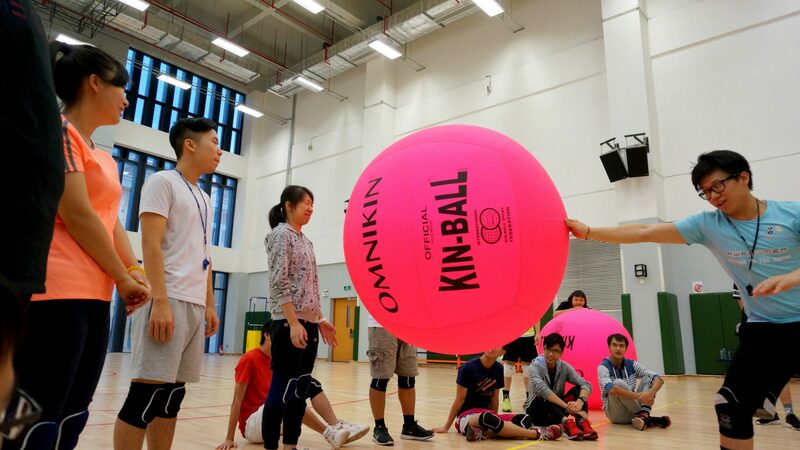 In sync with the University’s peer and community education goals, the series aimed to help students build up their teamwork and leadership awareness, as well as practice a healthy lifestyle by learning a new type of team sports and experiencing the charm of kin-ball. 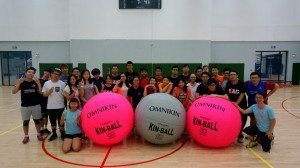 The “UM Kin-Ball Fun Day” was held at the UM Sports Complex Training Hall, and opened to any members of the UM Community. 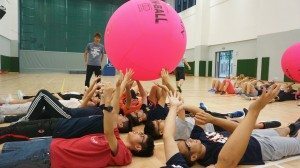 On the first day, Mr. Kenneth Chiu, President of Hong Kong Kin-Ball Association (HKKA), introduced his team and organized participants taking some warm-up activities. 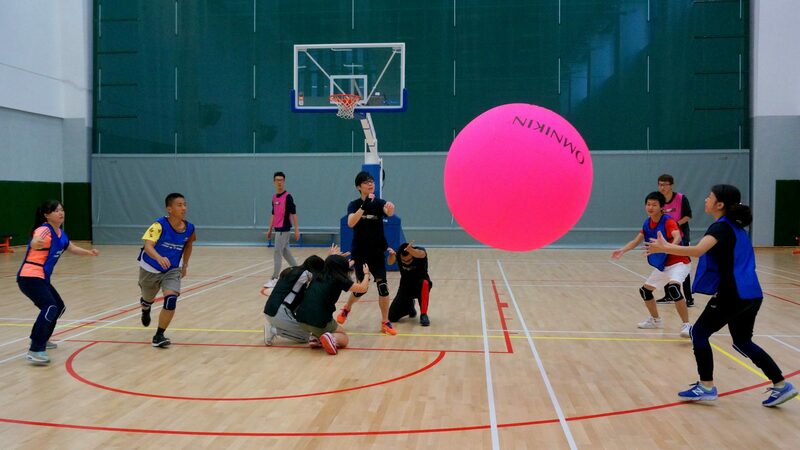 Students were then divided into two groups and learnt basic rules and skills of kin-ball. Subsequently, three teams with at least four players were formed in each of the two big group to play a few friendly games. The winning team from each group played against the coaching team who demonstrated some advanced skills. In the course of the games, not only did students learn the rules and the scoring method, they also recognized the importance of teamwork. 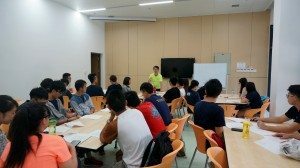 The next day’s “Coach Training Course” included one theory and two practice sessions. 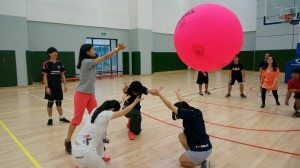 The objectives of the course were to assist participants learn and practice basic coaching techniques, in order for them to conduct ice-breaking games and learn basis of rules and tactics of kin-ball in a systematic way in future. Participants may one day become a promoter of kin-ball in Macau. 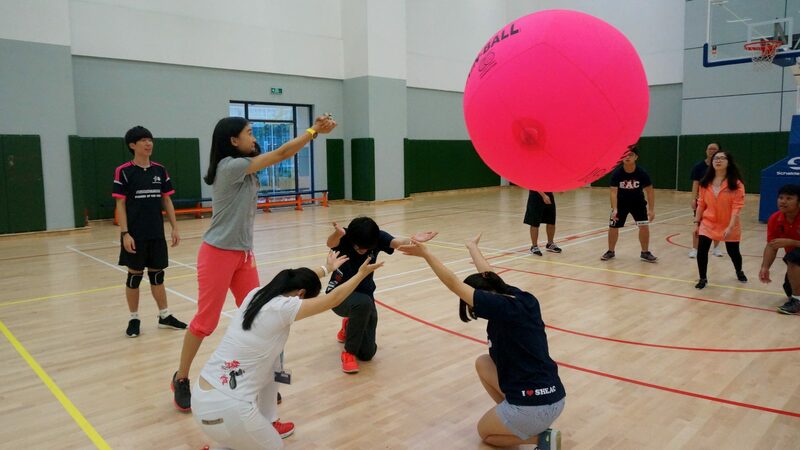 Upon completion of the one-day course, students not only were awarded a certificate of “Level One Kin-Ball Coach”, but also gained a deeper understanding of kin-ball, as well as some joyful and professional experience. Towards the end of the event, the director of Awesomer Ltd., sponsor of HKKA, generously lent a kin-ball and presented some basic equipment of kin-ball to the Colleges. The director and HKAA hoped to encourage students to continue their practice and promotion of this emerging sports to the UM community. 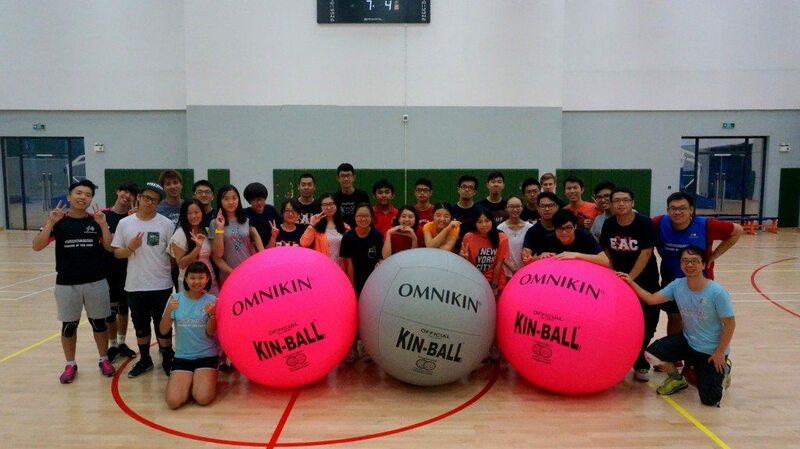 Meanwhile, participants were also looking forward to organizing more kin-ball activities in the near future. Kin-ball is a team sport created in Canada in 1986, and is the only ball game which is played between three teams at the same time instead of the traditional one-vs-one format. Three teams take turn to serve and catch the ball. During a match, all the four players of the attacking team must touch the ball while the ball is being hit. Therefore, a fault is committed when any of its players does not touch the ball during serve. This sports particularly emphasizes teamwork and sportsmanship. 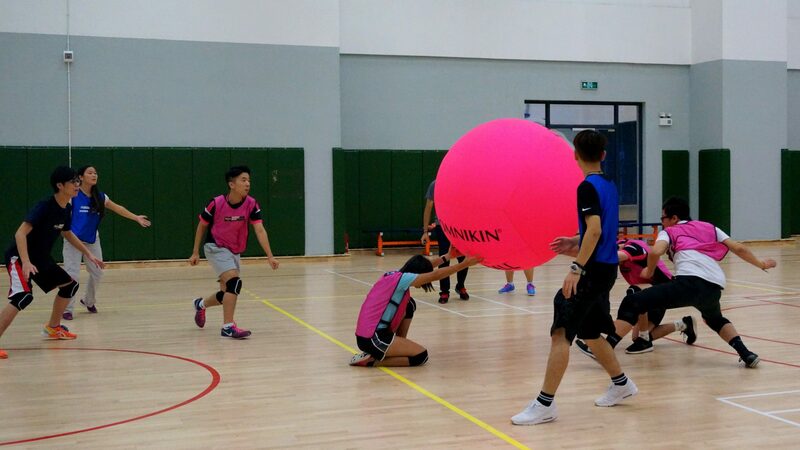 Kin-Ball has become increasingly popular, with over four million participants worldwide, primarily from North America, Europe and Asia. International Kin-Ball Federation organizes an international tournament every other year. 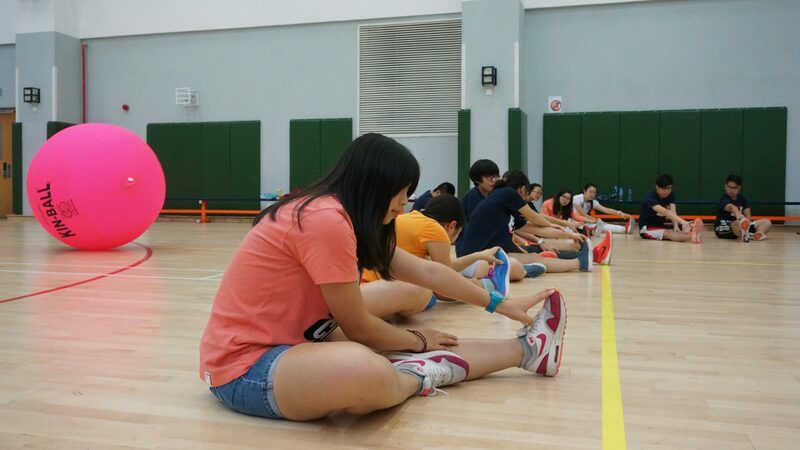 The Colleges hoped that, through the introduction of this new team sports, students would understand that regardless physique they could enjoy interesting sports together, as well as nurture their competency of healthy living and teamwork. In addition, more devoted students are encouraged to form kin-ball teams to participate in more regular and in-depth training, and one day take an opportunity to participate in regional events.